If a Muslim man showed up to my front door to sell me cookies I would consider a purchase. I don’t get rattled at the sight of Muslim men and I love cookies, so why not. It is entirely possible that I purchase the cookies despite wondering why a grown man is walking around selling cookies. However, if in this man’s joy over selling a box of cookies he exclaims, “Allahu Akbar”, there is a pretty good chance I punch him in the face and throw the box of cookies across my yard as I duck for cover. You see, as it turns out, Allahu Akbar can be said for many reason in the Muslim faith which are peaceful and legitimate. However, you know when it is definitely said? It is said when a militant Muslim is perpetuating violence. Thus, as a Marine Veteran of Iraq, I can’t help but hear it in that context. It is just my experience people and I am honest about it. In Al Kut Iraq, there was a huge grain Silo right next to the fire station we used as a patrol base in 2003 and right past the exit from Blair Field. It was an oddly dominating structure given what surrounded it, but it sticks out in my mind. So as I am driving around America and I see a similar structure, for some reason my mind takes me right there. But thankfully a grain silo is a pretty benign experience and when my mind takes me there it is usually something along the lines of, “Huh, that looks like the grain silo in Iraq.” In fact, it is just to the left of this picture you see below. But I find it amusing that such a benign structure can invoke such a memory just because it was there during a very formative experience in my life. I guess I shouldn’t be surprised. On the innocent level, people will often drive around their home towns to look at the houses they grew up in just for memories sake. Then on the tragic level, children of abuse often have horrible associations with benign events such as bathtime, bedtime, and holidays. Fact, symbols matter and the person who has a problem with it is probably not always making it up. But let’s talk about the South Carolina Confederate Flag. I have lived in the South my entire life. I only know the experience I have. Born in the late 70’s though, it was not like I lived in the hey day of Segregation and the racial strife this area of America has endured. However, I am here to tell you that in the 80’s and 90’s of a small southern town life, markers of racial strife existed. If you were to ask me in the 90’s whether a Confederate Flag should be removed, feeling like a good southern progressive Christian I would have said, nonsense, it is just history. Consider me straight out of To Kill a Mockingburg. But then I grew up and gained a remarkable trait called empathy and understanding for one’s experiences. 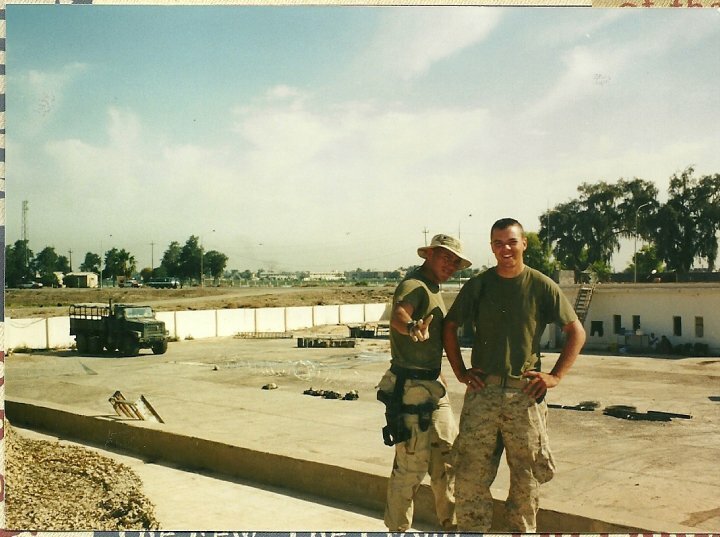 I never considered myself racist or a bigot growing up, and yet, as I lived the adult experience and travelled the world much thanks to the Marine Corps I realized I might have been holding on to a bit of naïve ignorance. Could it possibly be, that other’s experiences are not my own? Could it possibly be that a black man in the 1950’s South who was intimidated by the Klan waiving the Confederate Flag and couldn’t call the cops because half of them were under the hoods might view the flag differently? Nonsense for sure. Well, get ready for this startling confession. It’s true, and I’ll tell you how I know it above all else. You see, I might could ignore the genetics like Rachel Dolezal, but I have evidenced scarred in my brain and this is a true story. Prior to deploying to Iraq in 2003, myself and another Marine buddy hit up the clubs of Vegas for one last weekend liberty. We made our way into some club way out of our league because the bouncers thought we were with the California girls we were talking to in line and we all proceeded to hit the dance floor. Cutting a rug in my best Tennessee and Marine fashion I can remember it as vividly as the Iraqi grain silo when the California girl said, “Wow, you are really white.” Case closed, diagnosis confirmed. I then drowned my sorrows in one $10 bottle of bud light because that was all I could afford. $10 for a Bud light, out of our league, for sure. I do not know what it is like to be black in America. Most certainly, I don’t know what it is like to be black in South Carolina during the generation of my parents and grandparents. I’m pretty sure we each have our triggers. 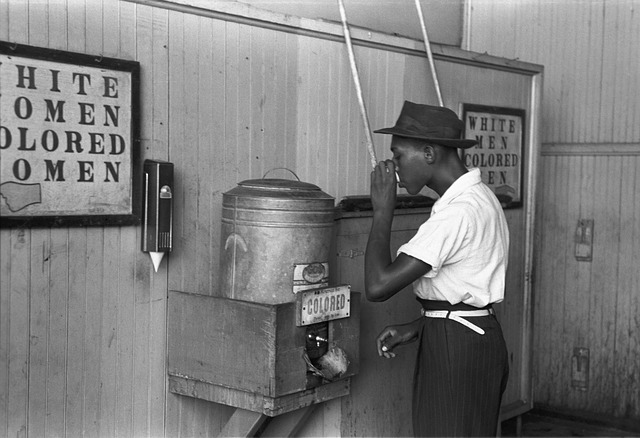 Fact, segregation was just one generation away and my mom, one generation, grew up in segregated schools. It is not that far ago. Fact, African Americans experienced intimidation, abuse, and murder at the hands of people in the south and you know what Flag was likely flying as it went on? Allahu Akbar people, it was the Confederate flag. Now, I am sorry if I offended any Muslims with this article I truly am. However, my experience tells me that when a Muslim hands you a box yelling, Allahu Akbar, you aren’t getting any freaking cookies. It might be wrong people, but that is my generation. It might not be fair to the average Muslim, but you can’t just program it out of my brain with a lecture in Islam. So why is it so hard to consider that African Americans might have disdain for a flag that flew at the hands of their abuse and oppression and frequently by State figures of authority? 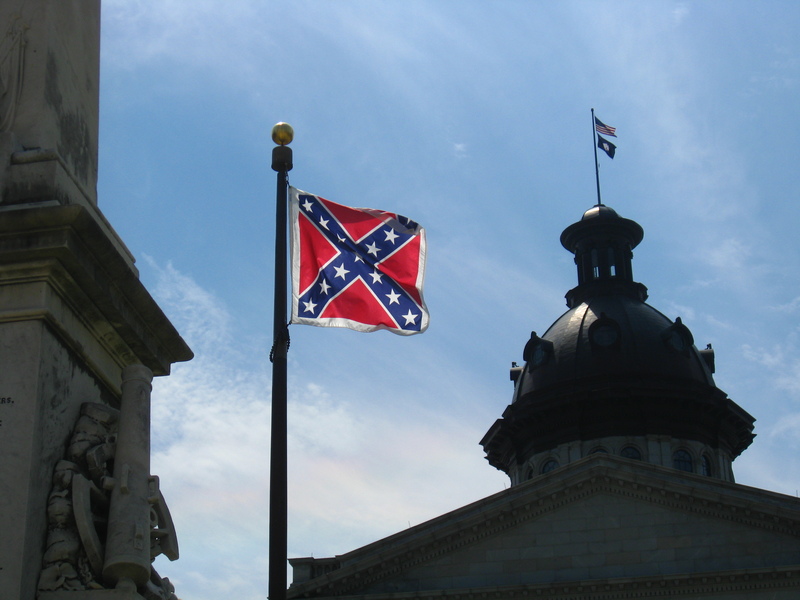 As a kid raised in the South, I would have scoffed at the idea that the Confederate Flag is anything but history. However, as a grown man I see it differently. Some of the people I love most dear in this world are African American and if they were to tell me something hurts them, I wouldn’t lecture them on history, I would take action to deal with it. It doesn’t mean you are admitting you are racist South Carolina, it just means South Carolina is admitting they are not ahead of the times. In fact, you are kind of bringing up the rear along with a couple of others. Someone had to do that, right? And whom better than the first State to secede from the Union in the first place. Seems like a perfect ending to the book what with it coming full circle and all. This chapter should close because people I love dearly say it hurts them to leave it open and you know what, I actually believe them rather than question them. Granted we have come a long way in one generation, but still, if a clown burned a cross in my front yard as a kid, I don’t want to see Bozo the Clown flying over the state capital as an adult. It’s ok South Carolina, you can let it go and keep your pride. You are not caving to the progressives because you care for what others around you think. If you are worried about that, just remind yourself about how much we stick it to the American Indians here in American culture and you will feel all better. It is time. You should not be ashamed of history, but in some cases the politicians have actually gotten it right. It belongs in a Museum where it is remembered rather than lauded as a State symbol of authority over those it enslaved. Much like my feelings towards the California girl who labeled me as like a super white dancer, you might not like it. However, the truth is incontrovertible. There it is and you must deal with it. Sign Up Above to receive new articles by email or click like below to follow the page on Facebook. You freaking nailed it. Well done brother. Thanks man, it may not be recieved well by all, but it is just where I am at. Truer words have never been spoken. I was raised in central Louisiana and have never considered myself to be racist but that does not speak to what others think of me. I went to a segregated school but worked and played with black kids the whole time I was growing up, mostly in the summer months. I went into and became a US Marine the summer of 1961, I don’t remember any black men in my platoon in boot camp or the schools that I attended afterward. I don’t remember meeting any black Marines until I arrived at Quantico Marine Base. There I met two black men, both Corporals, who were two of the most squared away Marines I had met since boot camp. They were both from the south and we became instant friends. I served with both these men for 3 years and don’t ever remember the subject of race ever being brought up. well said brother. Semper Fi. Semper Fi. Jeff, well said! It speaks for many. You got me up reading at 3 AM so at least I didn’t waste my sleep. I get the reason folks are up in arms about this, And I agree. But only so long as it stops there. I can see some yelling for a law banning the thing all together which would be wrong if only because we let Muslims fly black flags in Michigan which look a lot like Isis flags and we say it’s okay for retards to post selfies of themselves walking on American flags. We are becoming a society which is quick to label anything as offensive. But on the other hand I’m a white dude and you and I share a lot of brothers who happen to have darker skin so if it offends them it offends me. Good article Bro. yeah man. I agree, I don’t want to see it removed from history. However, sometimes you just have to trust your brother and give them a little empathy. I wish I actually had a picture of that grain Silo next to the Fire Station. Would have made for a better pic. Very well said. I have had some of these same thoughts running through my brain in the past couple of days. I grew up in Mississippi and have been in the Army for 23 years and as white as white can be. I think it is all about the healing process. For states like SC and MS, it is about moving on and progressing as a society. Again, great article. I’m pretty sure I went through a similar awakening as a young man when I lived among different cultures during my 20 years with the Army and the 60 plus years of my life. I learned that my being “right” by my cultural norms were inadequate, and even wrong to judge some other, perhaps seemingly bizarre issue or topic of a different culture. Simply, I learned judging was wrong, and I learned that actions or issues with which I was comfortable, perhaps I was just complacent. As a South Carolina resident, I appreciate the Southern heritage, the flag, the sacrifice so many ancestors made. I also appreciate the history of pain, suffering, intimidation and degradation that lead us to where we are now as a culture. If we truly love our neighbor, we should be sensitive to the buttons that cause his pain. I am saddened, embarrassed, even angered by the 9 senseless deaths in Charleston. The young man didn’t kill because of the flag. But one persons heritage is not sufficient reason to cause another’s pain. Put that flag in a museum. Well said man, and I appreciate your view as a South Carolina resident. I also agree the man didn’t kill because of the flag. These two stories have been very intertwined in the media. Hey devil dog I just have to find this out… I was in al kut in 2003 at Blair field. India company 3/23. Were you a part of this battalion? 2nd Platoon, Kilo Company 3rd Battalion 23rd Marines! Glad to run in to you brother.